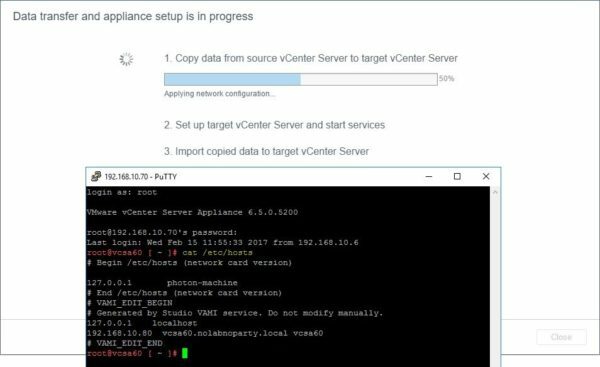 Deployed the VCSA 6.5, the upgrade process continues with Stage 2 where data are copied from source to target vCenter Server Appliance. With the result of the upgrade procedure, the new vCenter Server will have same hostname and IP address of the source VCSA avoiding services interruption. In the example, the vCenter Server Appliance Installer is used to proceed with Stage 2. Click Next to begin. The system performs some pre-upgrade checks. 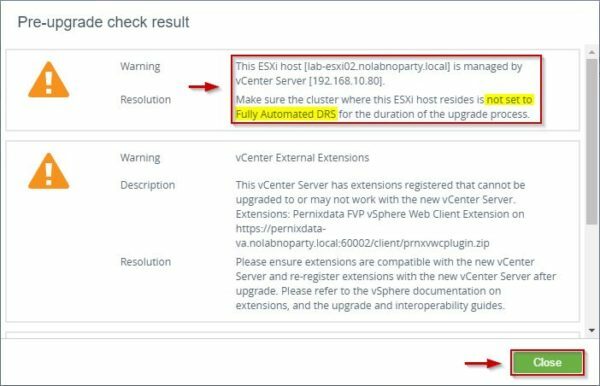 A warning reminds you that the cluster where the ESXi host that manages the new VCSA resides has not to be set as Fully Automated. Check out part 1 of the procedure for additional details. 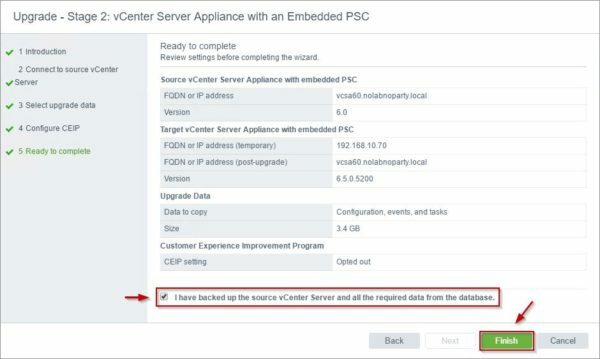 Other extensions installed in the source VCSA (PernixData FVP in the example) should be double checked for compatibility with the new VCSA. Click Close to continue. The window shows the credentials inserted in Stage 1. Click Next. 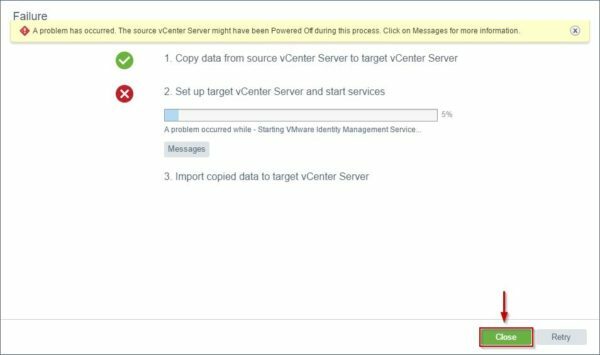 Select what data should be copied to the target VCSA then click Next. Optionally you can join the CEIP program. Click Next. 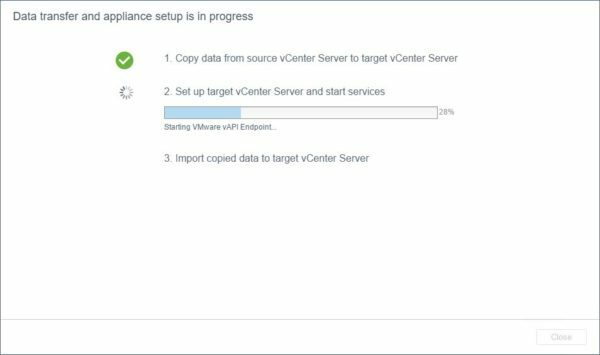 Thick I have backed up the source vCenter Server and all the required data from the database option then click Finish to start the data copy process. 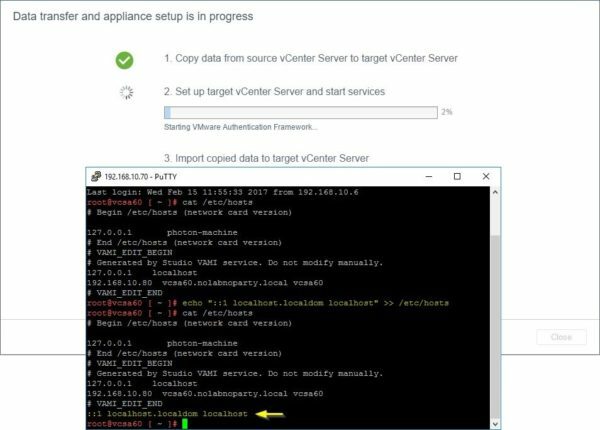 The system starts copying the data from source VCSA. 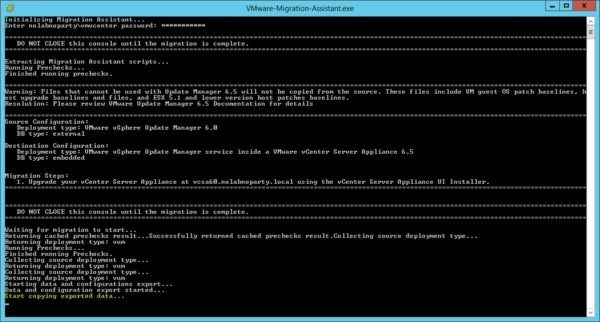 Looking at the Migration Assistant installed in the VUM server, the export process is in progress. 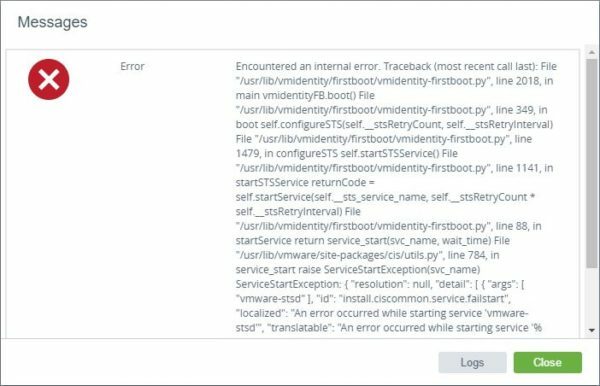 During the copy process you may experience this error related to the vmidentity-firstboot.py. 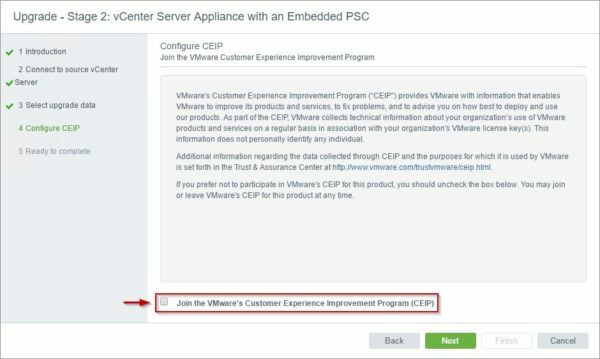 The procedure stops at 5% of step 2 while the system tries starting the VMware Identity Manager Service. 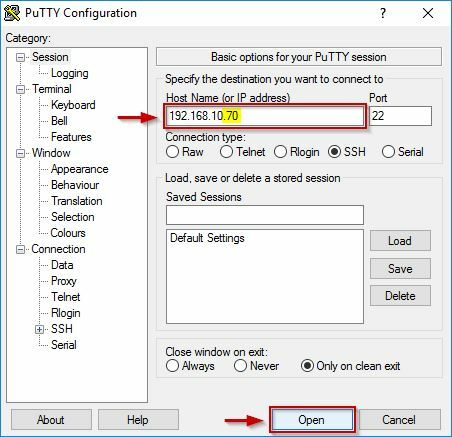 Clicking on Retry button, the problem is not solved and same error occurs again. Click Close to exit the wizard. 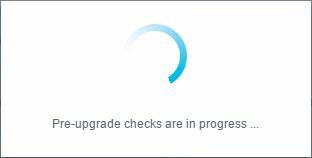 This error doesn't give any chance to continue the upgrade and you have to start the entire procedure from the beginning. 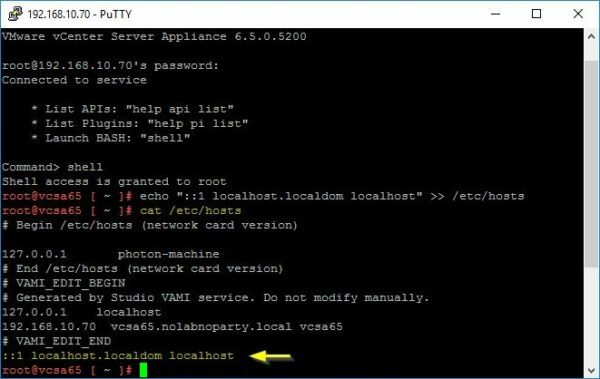 To fix this matter, you have to add localhost.localdom localhost in the /etc/hosts file of the new VCSA as suggested by the KB2147908 article before Stage 2 takes place. 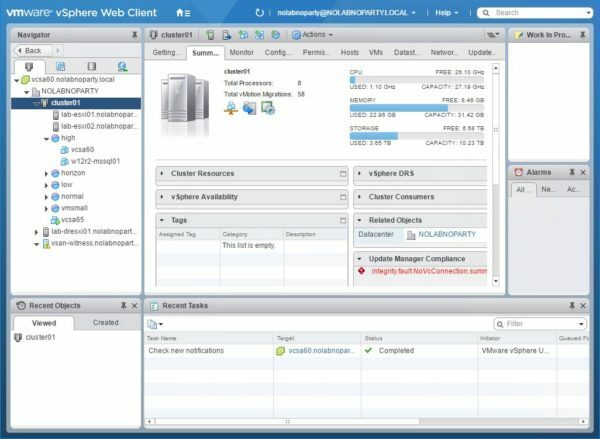 When Stage 1 has completed, from the vSphere Web Client of the source VCSA right click the target VCSA and select Open Console. 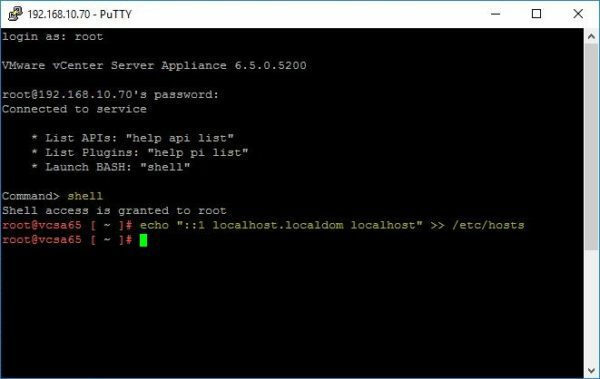 Connect to the VCSA with an SSH session and root credentials using the temporary IP Address specified during Stage 1 . Type the following command to verify if the parameter has been entered. Continuing with Stage 2 of the deployment, I figure out the Applying network configuration step erased the entry causing the same error again. 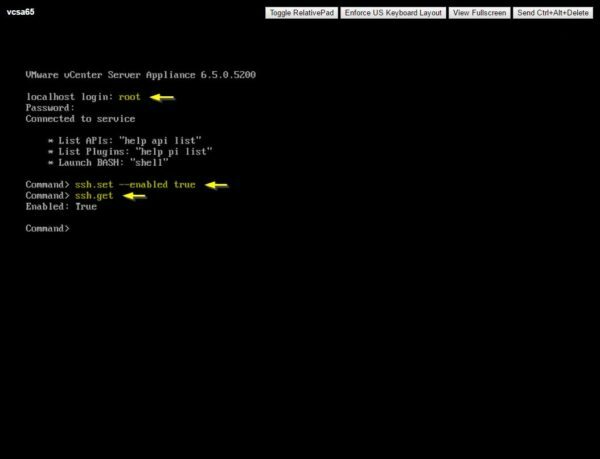 Adding the localhost.localdom localhost to the /etc/hosts as soon as Stage 2 starts step 2 fixed the issue. After using the suggested fix, the installation continues. 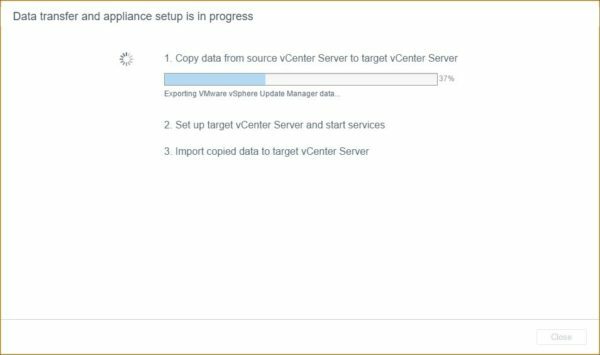 Another issue you may experience occurs in Stage 2 during the Importing VMware vSphere Update Manager data step. Also this error requires to start the overall upgrade procedure from the beginning. 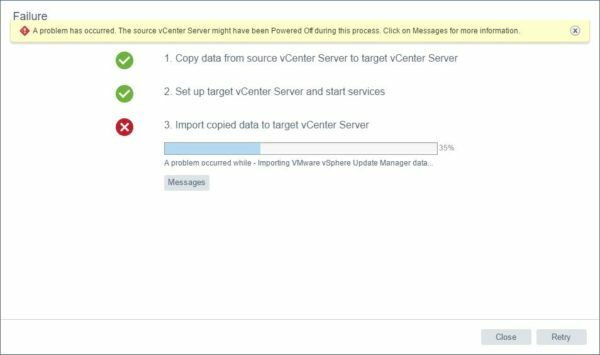 To fix this problem, make sure the VMware vSphere Update Manager Service in the VUM server runs with a dedicated account and not as Local System. Start the upgrade once again and if no issues occur, after some minutes Stage 2 completes successfully. Click Close to exit the wizard. 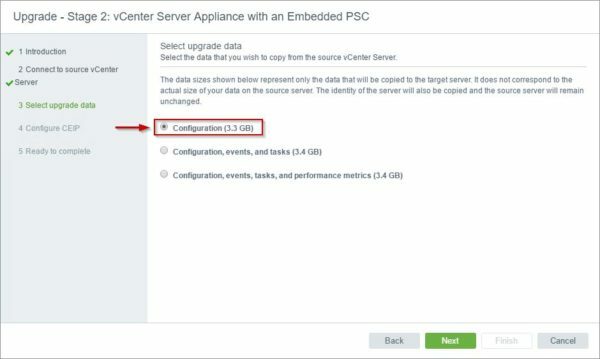 Since the upgrade process copies the configuration from source to the target VCSA, the new vCenter Server will have same hostname and IP address of the source VCSA. 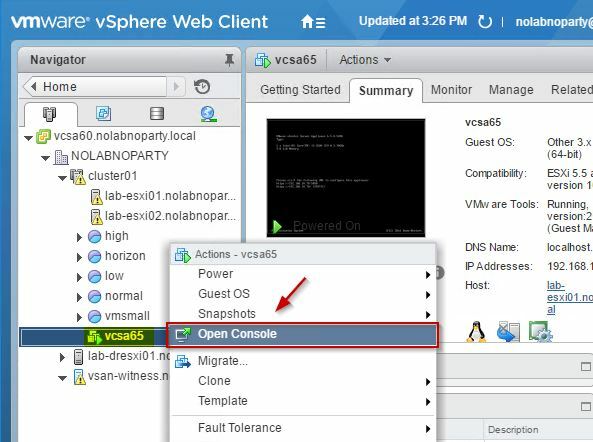 To access the classic Flash-based vSphere Web Client, from your favorite browser type the address https://IPAddress_VCSA/vsphere-client. 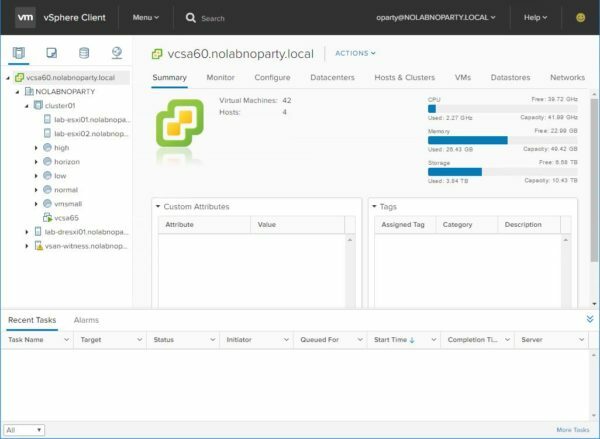 To access the HTML5-based vSphere Web Client, type the address https://IPAddress_VCSA/ui. Keep in mind that this client has limited functionality. The upgrade procedure is now complete. 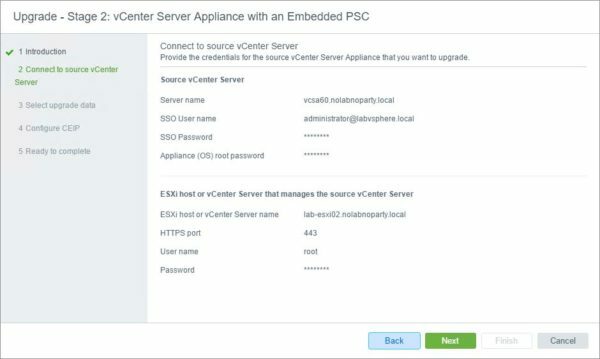 For a fresh installation of the VCSA, check out this post.